You finally landed that much sought-after client and are ready to get started on the project. It's tempting to move forward on just a handshake, but it's worthwhile to take the time and have your client sign a written contract before you do any work. More than a binding legal agreement, a consulting contract also serves as an important point of reference for both you and your client, eliminating potential confusion or misunderstandings. 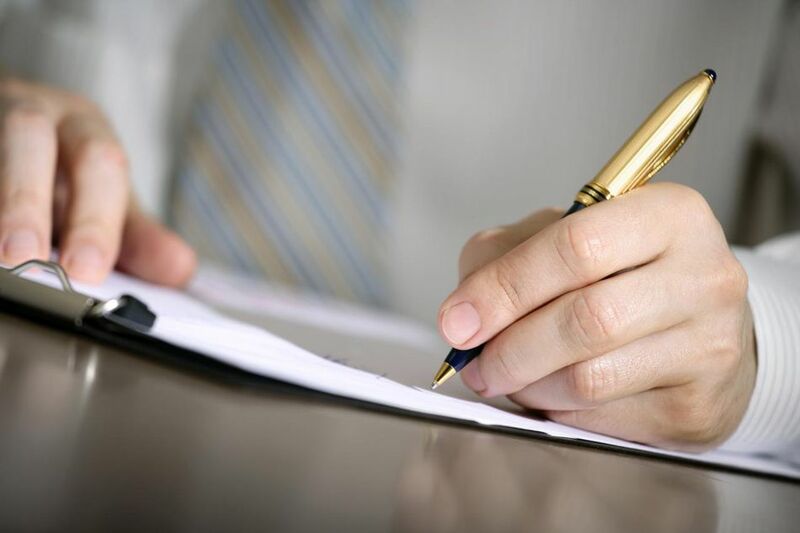 Use the many benefits of a signed document to define the client-consultant relationship and iron out all your terms and conditions in advance. When selling your consulting services to a new client, you are likely to discuss a variety of projects that could be tackled. In fact, the client's wish list can quickly grow quite extensive. However, when it comes time to perform the job, it helps to have a clearly defined scope of work by outlining what tasks will be tackled in the contract. Having this written description of the services you will perform prevents disappointment or confusion about what the client may or may not have been expecting you to handle. A written contract is not only a legal document, it can also be used as a marketing tool. For example, take time to verbally review the terms of the agreement with your customer before he signs it, particularly the portion defining the scope of work. Sometimes a client will decide to broaden the services performed, once he sees the details in writing. Another upsale opportunity occurs upon the ​expiration of the contract. Prior to a project being completed, or shortly before the consulting agreement is slated to end, meet with the customer. Discuss opportunities for new projects and how it will help his business, and review the potential for extending your services for the next phase of work now that initial results have been realized. There's more to a contract than simply regurgitating the legalese of a broiler plate document. A well-written contract goes beyond legal terms and conditions to clearly state the responsibilities of both the consultant and the client. What results does a client expect from the consultant? Does the client understand that certain performance issues and time frames are dependent upon the client providing specific information in a timely manner? During the course of the relationship, should there be a misunderstanding about results, or the time in which a project was completed, you can easily refer back to the written document and quickly resolve the issue. When you work on a freelance basis, a written agreement can be an important method for establishing that you are operating as an independent contractor. This could prove especially beneficial to the client should he need to prove to the IRS that you are not an employee. In addition to stating that fact clearly in the contract, you should also detail where, how and when the work is to be completed and make it clear that, as a consultant, the client does not dictate those terms.